Providing Personal Training in: Mandarin, FL, Jacksonville, FL, Atlantic Beach, NJ, Neptune Beach, NJ, Jacksonville Beach, NJ, Ponte Vedra, NJ, Riverside, NJ, Avondale, San Marco, NJ, Orange Park, FL. My name is Scott; I am a Certified Personal Trainer in Jacksonville, FL and the surrounding areas. I have been involved in the health and fitness industry for over 20 years, from having memberships at different types of clubs across the country to owning my own health club and being involved in the sport of competitive bodybuilding. While owning the health club, it was difficult to give individuals the quality time and knowledge they needed to keep them motivated and progressing toward their fitness goals. For those reasons, I created a Mobile Fitness & Personal Training Service. It allows me the atmosphere and quality time to work one on one with clients so they can fully benefit from my vast knowledge and experience – which keeps them focused on achieving their health and fitness goals. The uninterrupted training session ensures every workout is a positive and productive session If you feel that you could benefit from this type of quality instruction then please feel free to contact me by email or with a phone call. The first consultation and your first workout is on me at no charge, so what do you have to lose? 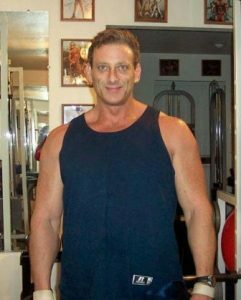 Learn more about Personal Training in Jacksonville FL with Scott. Submit your name, e-mail, address, city and any comments/ questions you might have.